Click on Cover to Purchase. Available in paperback and for kindle. ​Liz decided to try her hand at a new craft by writing her first novel for the inspirational fiction category . She is writing under her maiden name- Shoaf. New name, same amazing, character driven journeys. ​Abigail Mayfield hopes that her stalker hasn't followed her to Texas- until someone breaks into her new home leaving behind a photo of her late parents with a mysterious child. This time, with her guard dog at her side, the widowed music teacher refuses to hide. She can't uncover why someone is after her by herself, though, not when the threat escalates from break-ins to attempts on her life. After saving her from a sniper's bullet, FBI agent turned small town sheriff, Noah Galloway, makes Abigail's safety his personal mission. With the investigation taking them cross-country on the trail of her long-dead parents, the widowed single father can't risk leaving his son an orphan. But Abigail needs him, because somewhere, deep in her past, lies a secret worth killing for. A master spy, Count Aldric has eluded exposure for years until he discovers several dangerous men are after the woman he loves, all while Aldric is posing as a burnt-out butler. He’s a true chameleon, and he uses that skill with ease to infiltrate the underbelly of the criminal world. 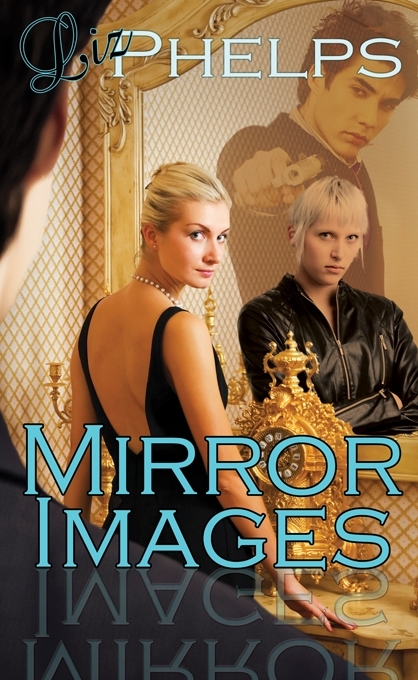 Tasked with protecting her twin sister’s top-secret project, Deidre is surrounded by danger. She valiantly breaks out of the protective shield she has lived in since childhood and is rewarded with the gift of true love and courage. Building a Fortune 500 company from scratch was simple for Danny Potter. It only required hard work and brains. But discovering she has an identical twin sister and parents who are the cream of society is another matter. Raised in the mean streets of Chicago by the girlfriend of her kidnapper, Danny doesn't do society or touchy feely, but a killer is determined to eliminate both Danny and her sister and that's a language Danny understands. The assassin is in for a few nasty surprises from Danny's vast arsenal of unique weapons when they enter the playing field. As a friend of the Townsend family, Austin McKean is suspicious of the new found twin his international security firm stumbles upon by accident. Ex-military, Austin is all starch and vinegar and he couldn't have picked a more ill- suited woman to pique his interest if he'd tried. She has a murky past and enough secrets to rival Washington, D.C. Intrigue swirls around them as they join forces to protect Danny and her sister while unveiling a mystery killer. Click on Cover to Purchase. Also available at The Wild Rose Press.